The State Belt Railroad also supporting the military operations with specdial movements, switching services, and the connection to the Class 1s. Roster information where known is noted below along with select photographs. Former air strip located next to the bay in the Presidio of San Francisco. A few hanger building remain is all. Major dock and warehouse operation. Many of the wharf spurs remain today in the pavement. Large base with several warehouses connected to spur lines from the State Belt. Small switching railroad that was standard gauge and steam and diesel powered. Operated about five miles of track and connected with the Southern Pacific Railroad. Organized in 1940. Transfered from USN Mare Island Naval Shipyard #4. For sale 1/47 via War Assets Admin., Stockton General Depot, Calif. Transferred from USN Bremerton Naval Yard #8. New, and present April 1960. Purchased from Coos Bay Lumber Co. #19, Marsfield, Ore.; orig. Clear Lake Lbr. Co. #7. 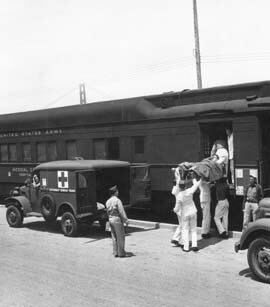 Transferred as surplus to Richmond, Calif. 10/23/47, later sent to Stockton, Calif. for dispositon. Built for Navy Supply Depot, Bayonne, N.J. Trans. to Naval Amm. Depot, Bremerton, Wash.; to Naval Ship Yard,, Hunters Point. after WWII; then USN #65-00421; to Naval Supply Depot, Oakland, Calif. 6/72; sold 9/73 Simon & Sons, Tacoma, Wash. Built for Naval Shipyard #11, Mare Island, Vallejo, Calif.; trans. to NSY #11, Hunters Point. Still here 10/65. To General Services Admin. for disposition.